The critters will thank you! I plant natives because it makes sense for the difficult conditions in my garden~ (You know that shallow clay soil that's sticky wet all winter and dry as concrete all summer.) After the drought last summer and fall and an already saturated 2012, planting Central Basin natives makes even more sense to me. I plant natives because they provide habitat for birds, butterflies and other wildlife. (Gardening For Wildlife) But, not just any old native plant makes the Clay and Limestone cut. They also have to be tough, attractive and make me smile. Join me and let's make 2012 the year we plant more natives. The critters will thank you, but, I pinky swear, that you'll be even happier than the bees. By planting natives, you do add a whole new dimension to gardening--the inclusion of wild things. I find it fascinating to watch the local ecosystem at work. I am working on doing just that, Gail, thanks to your influence!!!! It seems more natives are becoming available, too, at nurseries and online. That helps. Also, allowing the *weeds* to grow and flower to better help identify the good guys that already want to grow in one's garden is the easiest of all. Your garden is beautiful, proof of natives knowing how to grow in not so perfect conditions. You inspire us. Thank you. Just reading all this makes me itchy to get out there. Unfortunaely it is cold here now. Winter finally decided to show up. Expecting 1-2 inches of snow any time now. One can dream though. I couldn't agree with the title of this post more! I've two seed flats with native plant seedlings on the greenhouse propagation bench at the moment. The native yarrow I sowed is just screaming to be transplanted already. 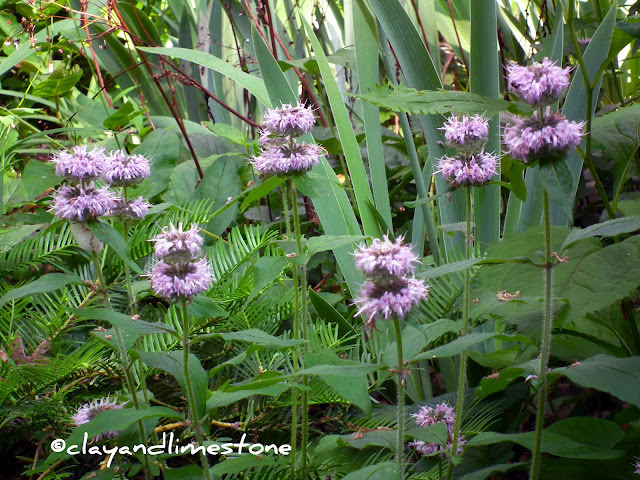 I love the photo of the downy woodmint, I bet the bumble bees love it! I'm in. I will plant more natives this year. After all, I have the perfect growing conditions for the plants native to my area! You do and you have nice soil! 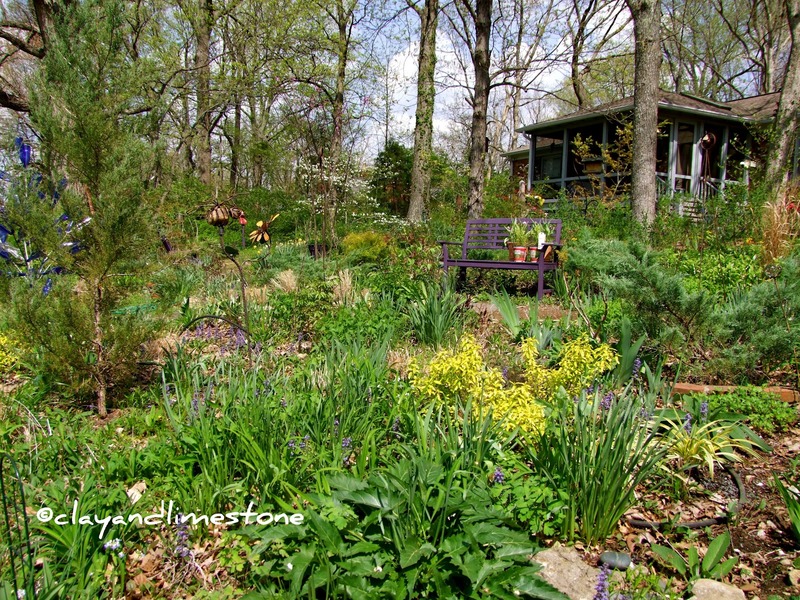 Prairie plants would love your garden. Makes life easier with natives, that is for sure. You have helped spur many of us on! Thank you Janet, that's music to my ears. 2012 for sure, it is becoming such a necessity I fear. The temps alone will help the go native moment along. I think you're right...and hasn't this winter been a strange one! It really is a win-win and so many of our locally native plants are stunning additions to the garden. Natives do do great here in TN! Seeing those warmer pictures sure makes me wish they were a bit closer! I am ready, too. I would like a few days of dry weather, too. I have natives on my list for this year. A new one is Agastache! Pat, That's a great plant! The pollinators will thank you and I do believe that some birds love their seeds. I taught a plant ID class to local Master Gardeners this past Sat. and I realized that most of the plants that I reccomend as super easy for our area and that are tolerant of many conditions, are SE coastal natives. 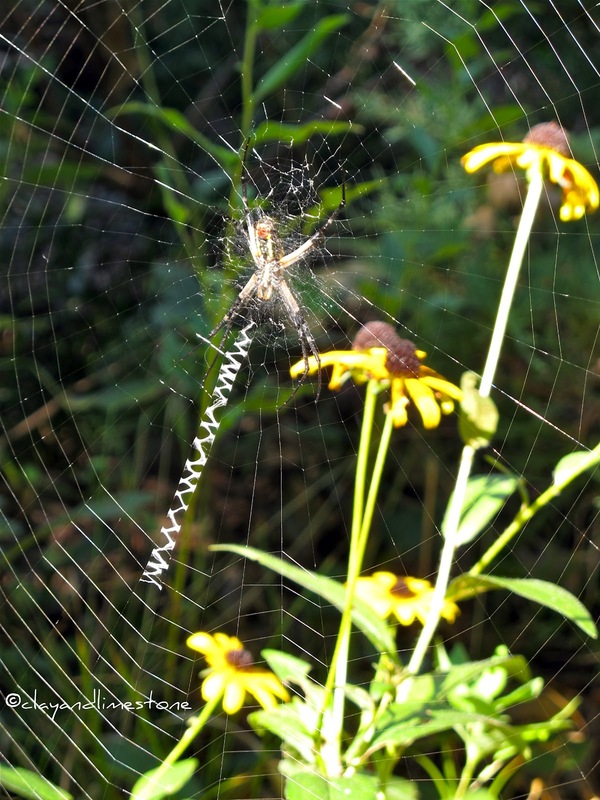 Look to the native landscape for what will do best in your garden - but you know that! It looks at if there were plants on the bnch awaiting there planting. Great photo of the zipper spider.